Have you ever tried to rejuvenate your skin in a “time machine”? Have you ever tried sleeping in a cave or in an enterprise located in a zone where there is strong radiation? 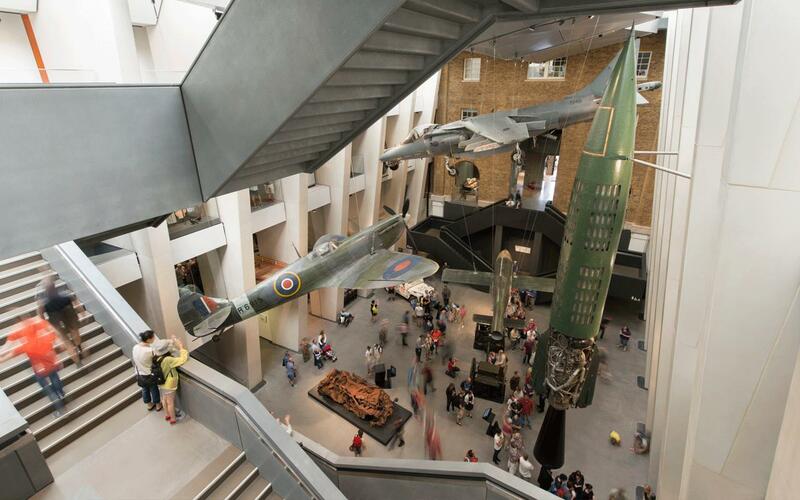 Peculiar adventurous spirit is not needed when it comes to visiting some of the unusual tourist attractions that we have listed below. It is quite enough to be a bit curious and courageous in order to descend into the Paris’ dark and mysterious catacombs or wander around a Hindu temple where there are hundreds of terrifying rats. 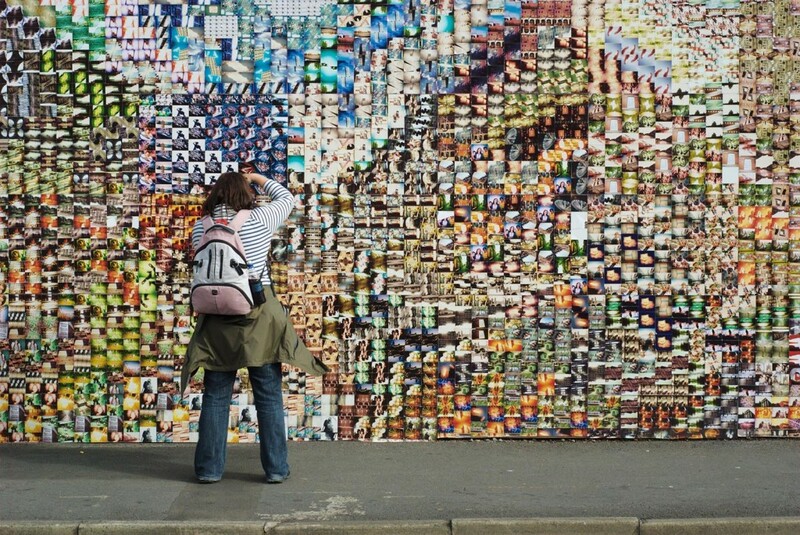 If you want to visit this pretty strange tourist attraction, you would have to go to Canada and more specifically – to Vancouver in the western province of British Columbia. The largest hockey stick was built in 1985 and has a weight of 28,118 kilograms. It was initially ordered by the Government of Canada as a part of Expo ’86, but after that it was sent as a gift to the citizens of the Cowichan Valley. However, according to some, the largest hockey stick is located in the small town of Eveleth in Minnesota, USA but on July the 14th 2008 this 20-year battle for the title was won by the Vancouver hockey stick. The Full-Scale Gundam is undoubtedly one of the strangest tourist attractions of Tokyo. You wonder what it really is? This is a great statue of an enormous robot located in the Odaiba Shiokaze Park. The RX-78 Gundam replica, which is about 60-feet tall has a head that can move and also emits light thanks to more than 50 different locations of its body. The statue was created in July 2009 on the occasion of the 30th anniversary of one of the most popular Japanese animation series – the Mobile Suit Gundam. Visiting the Catacombs of Paris can guarantee you really bad dreams for at least a month. This ominous attraction of the otherwise romantic Paris is a real network of more than 320km tunnels, criss-crossing the underground of the entire city, and their walls and ceilings are “decorated” with the bones and skulls of nearly seven million Parisians. The catacombs were created in the late 18th century, when the Government decided to transfer the already existing cemetery into the unused underground tunnels, which was taking up some valuable land for new construction. If you have accidentally got in Ivrea in February, do not rush to leave, because this is the time when the unique battle with oranges starts. It is a part of the so-called Orange carnival, which turns this small Italian town, located not near Turin into a battlefield for a three days, during which the main weapons here are oranges. This war recreates the legend according to which the cruel Marquis Guglielmo Monferrato, who ruled the city in the 18th century wanted to spend the night with a young Violeta – a beautiful bride, who opposed to him and killed him. Do you know that one of the most terrifying places in the world is actually one of the strangest tourist attractions? The world-famous Chernobyl nuclear power plant in Ukraine and the city of Pripyat situated nearby have become a desired destination for visitors from different countries. We personally con not figure out what would motivate a person to go and visit such a place but it’s a fact that in the recent years this place attracts many tourist from all over the world, who wish to take the risk and enter the radioactive zone. Today the ghost town of Pripyat is nothing more than some empty buildings, abandoned after the Chernobyl disaster which happened in 1986. 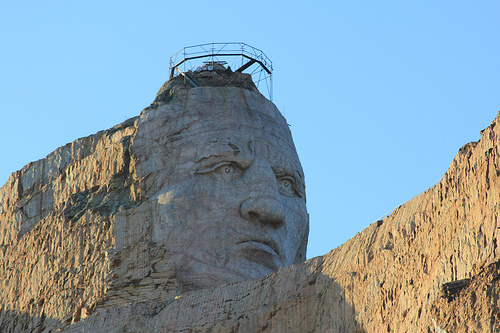 The so-called Crazy Horse Memorial, which was carved out of solid rock and is dedicated to a dead Indian leader is one of the world’s strangest tourist attractions. The sculpture is situated in South Dakota and was begun in 1948 by Korczak Ziolkowski, who died in 1982 and the construction faded away despite the intensified efforts of his family to finish the job. Nowadays a foundation managed by Ziolkowski wife and children owns the entire complex. And if by any chance the monument gets finished, it will be world’s largest sculpture ever built. Conni Jameson is passionate traveller and blogger. She works as a cleaner at http://www.shinylondon.co.uk/house-cleaners-acton-w3/ and thanks to that she earns enough money to travel a lot. Driving Abroad: Are You Covered? If you are planning to drive during a trip out of the U.S., it is important to look into the local laws to determine whether or not your car insurance policy will provide you with any coverage. In many cases, a U.S. policy is not going to be transferable to a vehicle that you drive abroad. In other words, it is necessary to purchase a temporary insurance policy in order to remain compliant with all of the local laws of the country that you are visiting. American drivers who are planning to drive their own vehicle into Canada should be covered for any basic issues, but it is a good idea to check into the local laws for each province that you will be traveling through to ensure that your policy covers all of the necessary guidelines. On the other hand, if you are going to Mexico, you are going to need to buy a temporary policy from a company that has been authorized to sell insurance by the Mexican government. Failure to obtain a proper policy before you cross the border can cause you to spend time in jail, so make sure that you do not leave for your trip without buying Mexican car insurance. 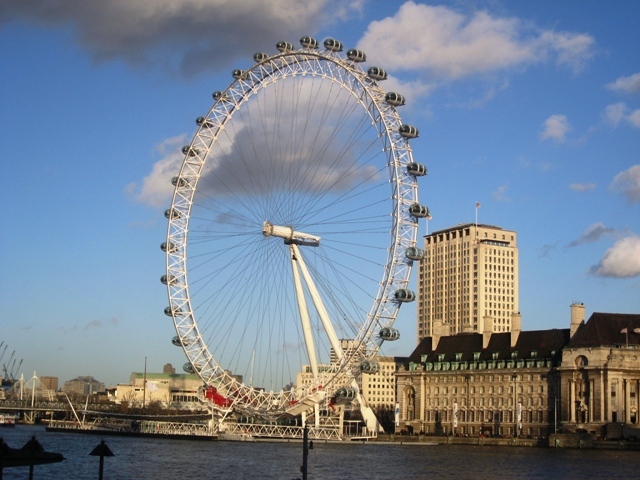 If you are planning to go to the U.K., you will need to do more than simply learn how to drive on the opposite side of the road. Your U.S. car insurance is not going to be sufficient coverage for your rental car, so it will be necessary to buy a temporary policy. However, insurance providers in the U.K. offer a wide variety of options, so you should visit reputable insurance quote sites like www.monkey.co.uk to check rates for your correct amount of coverage. For example, most drivers in the U.K. get a policy that insures them to drive a specific vehicle. In other words, the driver is the one who is actually insured instead of their automobile. If you have a traveling companion who will be doing some of the driving, you will need to disclose this information in advance to avoid legal difficulties later. After all, if the other driver is not properly insured and they get into an accident, they could end up dealing with a long list of issues such as large fines and jail time. Whether you are looking for insurance locally or for a trip overseas, it is always a good idea to start your search on the Internet. You can utilize an insurance quote website to gather unbiased reviews and prices from several companies that offer temporary policies for tourists. Regardless of which country you are planning to visit, you should always determine in advance if your American car insurance policy is sufficient to meet all of that country’s laws. If it is not, it is up to you to make sure that you take the proper steps to become compliant. Shelby Warden is a researcher who offers this information to help foreign travelers enjoy their vacation without incident. Frugal drivers turn to www.monkey.co.uk to find the best deals on insurance from some of the leading car insurance providers of the UK. For every car insurance policy taken out through their site, Monkey™ donates £10 to the driver’s favorite charity. Perhaps you, like me, dream of going to England someday. Perhaps you, like me, love beaches. 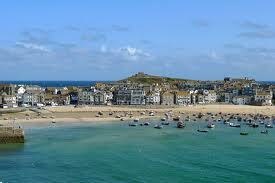 If so, you must visit Cornwall, England’s south-westernmost county. Cornwall offers the sunniest, mildest weather in all of the UK. Home to dramatic sea cliffs and sheer drops, Cornwall borders the Celtic Sea and the English Channel and has over 250 miles of coast. It’s not all rugged cliffs, however. 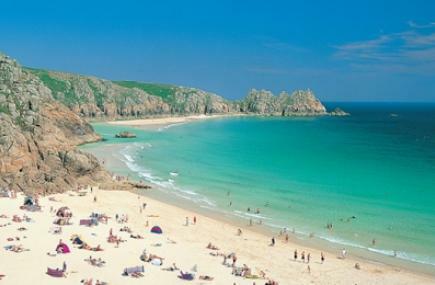 Cornwall boasts over 150 individual beaches, most of them sandy and family-friendly. This list of the top six beaches in Cornwall should help you maximize your time there. 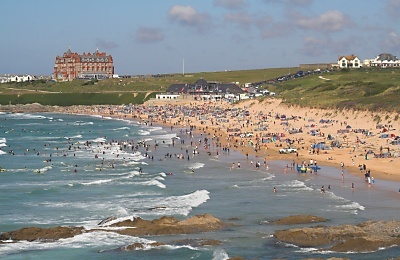 • Two beaches, Perranporth and Penhale, merge during low tide to create a huge blonde sand expanse. 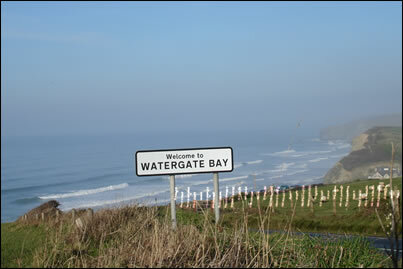 • Enjoy nearby Perranporth, an entertaining beach town. • Penhale features a Special Area of Conservation, sand dunes which cover the ancient church of the patron saint of Cornwall. • Visit rock pools, caves, a stream, and Chapel Rock. • Beloved by surfers and families. • Overlooked by the South West Coast Path, high above on fascinating English cliffs. 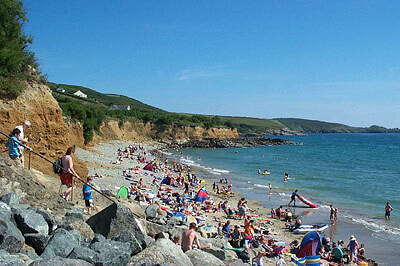 • When joined, one of the largest beaches in Cornwall. • Soft, sandy beach popular with families. • Area for advanced swimmers due to steeply shelved beach. • Area for children in stream also on beach. • Lifeguards provided May through September. • Near MinackTheater and Telegraphy Museum. • Near Land’s End and St. Ive’s. • Large parking lot with bathrooms. • Sheltered, sandy beach that doesn’t disappear even in high tide. • Working harbor provides plenty to see and do. • Backs to St. Ive’s, full of cafes, shops and eateries. 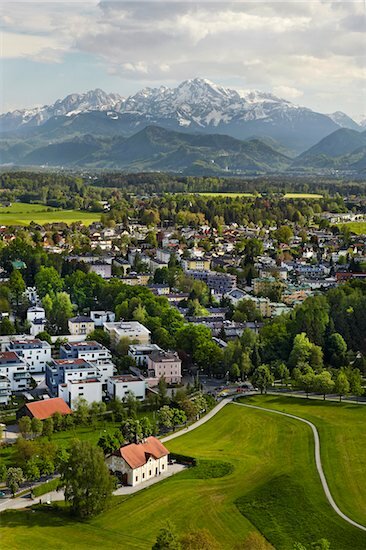 • Surrounded by scenic views and historic buildings. • In low tide, joins with nearby beaches. • Gives access to the famous South West Coast Path. • Clear blue-green water backed by flower-covered cliffs. • Golden sand beach near Newquay. • Huge stretch of beach will allow you to find seclusion, avoid crowds. • Excellent waves good for surfing, kitesurfing and kite buggying. • Dogs welcomed year-round . • Internationally recognized surfing center. • Between Pentire and Towan, towns with lovely Victorian buildings. • Three beaches in one: South Firstal, the Main Beach, and Little Fistral, only there at low tide. • Lifeguards provided April through October. • Dogs welcomed all year. • Near bathrooms, cafes, surfboard and wetsuit rental shops, surf instructors, and the Surf Centre. • Turquoise water and white sand. • Dotted with islands and caves. • Unique cliffs and rock formations appear at low tide. • Owned, protected and maintained by the National Trust. • One of the most beautiful and scenic coves in Cornwall. • Accessible by the South West Coat Path. 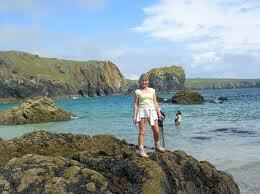 • Near the Lizard National Nature Reserve, the Lizard Lighthouse and Heritage Center, and Mullion Cove. It’s hard to go wrong when visit Cornwall’s many gorgeous beaches. Before you go, decide what type of experience you’re hoping for, and then search for a beach that can make your dreams a reality. Hopefully these six beaches will be on your list! Abi writes for The Cornwall Hotel Collection, owners of The Greenbank and Alverton. For a quality restaurant in Truro or wedding venue in Falmouth visit The Cornwall Hotel Collection.